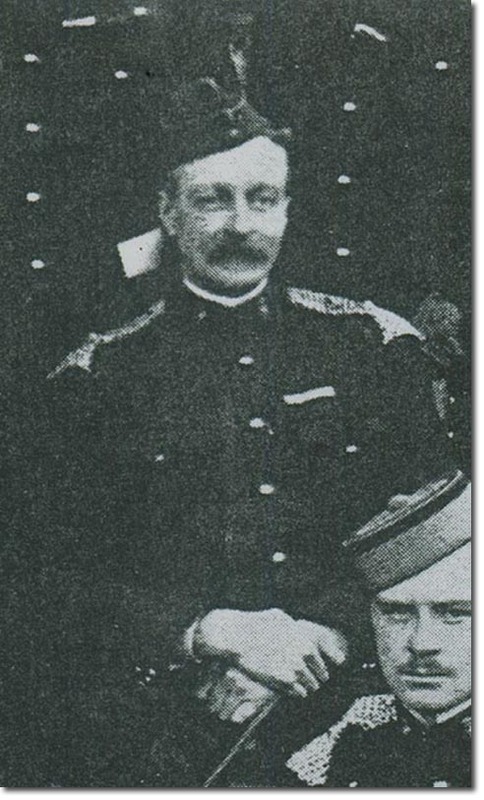 Lawley commanded the 7th Hussars in the Boer War, taking the regiment out to South Africa in November 1901. He was appointed CB on 26th June 1902 and relinquished command on 25th June 1903 being promoted to brevet Colonel the following day. He served in the Sudan in 1884-5 and the Nile. He was born on 21st Aug 1856 the son of Beilby Lawley, 2nd Baron Wenlock, and educated at Eton. He was the second son and 6th child so that his elder brother, also called Beilby, inherited the title. But Beilby died childless on 15th Jan 1912 and Richard became the 4th Baron Wenlock. He had entered the army as a sub-lieutenant on 11th Feb 1875 after a course at Sandhurst and remained in the regiment throughout. In 1904 he retired from the army and in 1909 married Rhoda Knox-Little. They had no children. He died at Hestercombe near Taunton on 25th July 1918.